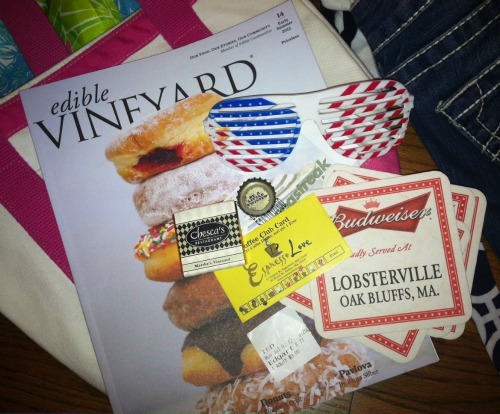 Edible Vineyard - I must credit "THE DISH: THAT ONE THING THEY SHOULD NEVER TAKE OFF THE MENU" for the amazing lobster roll at the Menemsha Gallery my last afternoon. Shades - Courtesy of the Seafood Shanty during the Edgartown Fireworks. Bottle Cap - BE A LITTLE TWISTED was sandwiched in the sandy bottom corner of my beach tote. What I wouldn't do to be back on East Beach sipping a Twisted Tea Half & Half! Seastreak Ticket - Ted and I took the "fast" ferry from Manhattan to Martha's Vineyard. The ride was about 6 hours... but at least we didn't have to deal with traffic on I95. Chesca's Restaurant - The grilled salmon in Thai chili barbecue glaze was delishhhh. Espresso Love - I earned my free coffee. Hopefully I don't lose the card before my next visit in the fall. Coasters - I always feel compelled to put a few unused coasters in my purse... when the bartender isn't looking. 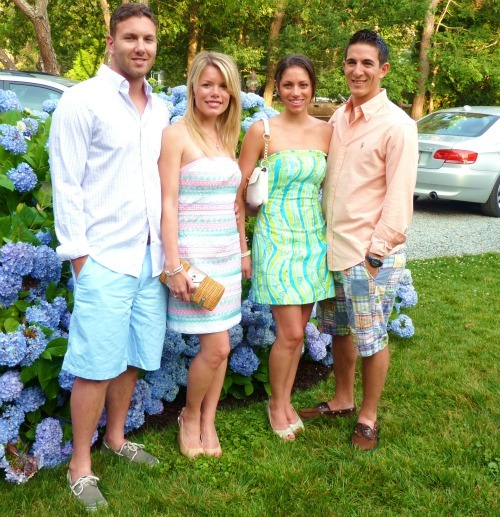 Ted, me, Lindsay and Joe before a night out in Edgartown. What a fun weekend you had! Can you believe I've never had a lobster roll ... yes, a very sad but true story! 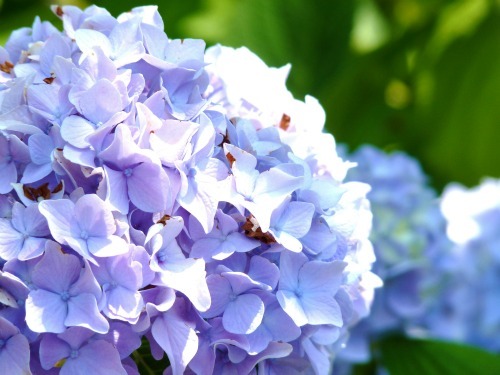 Looks like fun - the hydrangeas are beautiful! looks like you had a great time :) love your dress. Looks like such a fun time! I still haven't unpacked from last week yet and I am dreading it! Looks like you had such a great time! Yum - a lobster roll sounds great! I'm loving your dress as usual! Sounds like a fantastic time. Love your dress!! I won't be back on the island until next month, and this post is not helping my cravings!! ahh so envious of your trip! and a 5 hour ferry ride... wow... but at least you could relax and not fight traffic. I need to visit some northern beaches sometime, they are on my to-do list! !